Sound Masking Systems ensure speech privacy, reduce noise distractions and improve workplace productivity. 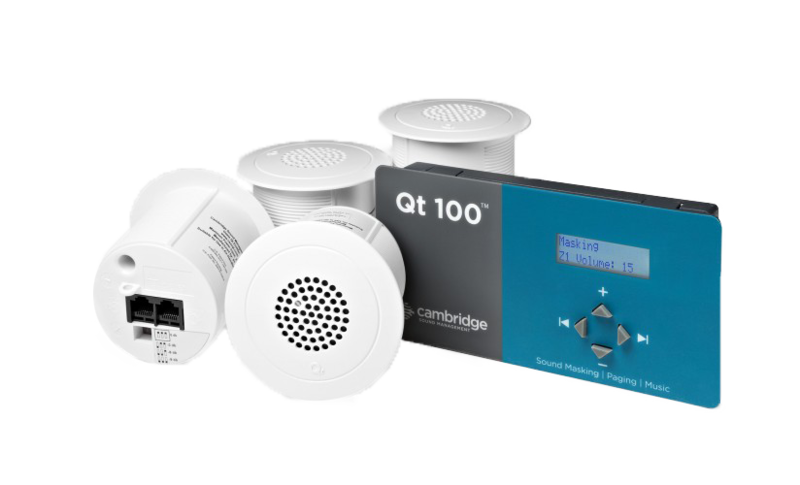 Speech Privacy – By strategically locating small sound masking emitters near your conference rooms and huddle spaces we can ensure that your closed-door conversations are kept secure. Staff Productivity – Open floor plans feature more open spaces and smaller, and often shared, workstations. This creates acoustical challenges that negatively impact staff productivity. Installing a sound masking system helps your employees concentrate and work more effectively. Staff Workplace Satisfaction – Another challenge with the open floor plan is that staff often feel uncomfortable when their coworkers can listen in on their private conversations. Installing a sound masking system helps your employees feel more at ease in their work environment. Installing a sound masking system is an affordable, easy to operate way to mitigate several issues that are inherent with open office spaces.